This production opened on August 19, 2009 and closed on August 23, 2009. 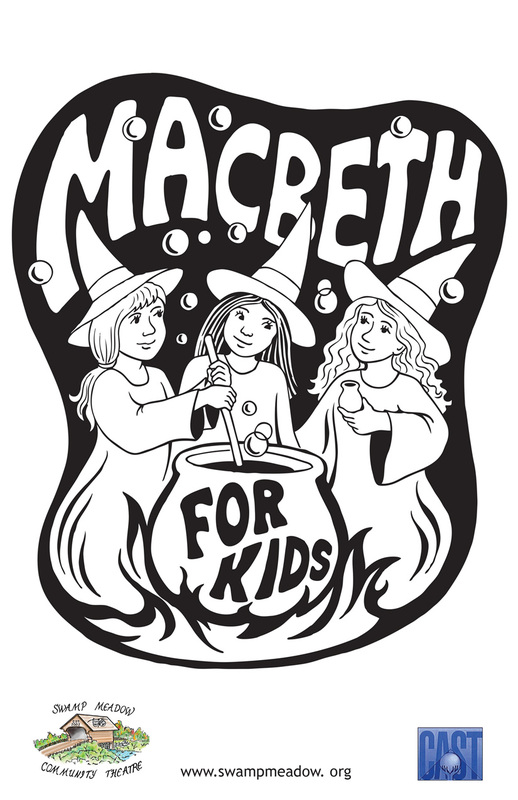 Swamp Meadow put on a lively, kid-friendly version of Shakespeare’s Macbeth! This version, adapted by Jake Wolf-Jensen, took on a decidedly different flavor than the original by setting it in the 1970’s. Narrators Dwayne and Marth explained the Shakespearean goings-on to the audience and added just the right comic touch to this tragic story. In an inspired move, it was decided to use two different casts in order for more children to be involved. What resulted were two equally exciting takes on the same story! The show was directed by Jake Wolf-Jensen, assisted by: Glamis Cast– Mariah Harrington, Zach Farnum, and Meryn Flynn, Cawdor Cast– Bob Hollis, Brian Wolf-Jensen, and Amanda Betchy. Produced By Laura Giorgianni.